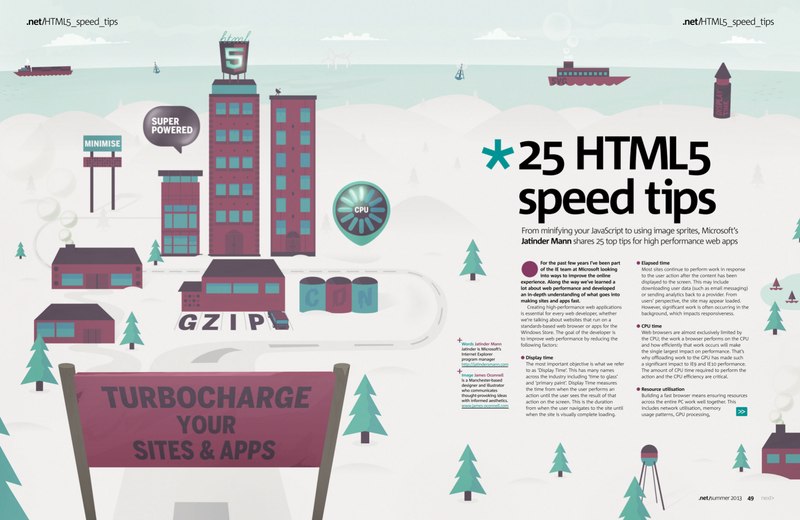 Check out my article in the .Net Magazine, 25 HTML5 Speed Tips, where I talk about speed tips for high performance web apps. You can order the Summer 2013 #244 print edition of .Net Magazine from their site.To see the full list of tips, you can also check out my Build conference presentation. Posted on July 31, 2013 July 31, 2013 by jatindersmann	Bookmark the permalink. Hey I’m enjoying your article in .net. I’m curious why you recomend creating image sprites by hand? Is it just because you can organise the images better to make it smaller? Yes, that’s exactly it. Some image sprite tools don’t recognize that two images may be the same, while others may not remove all of the unused white space.